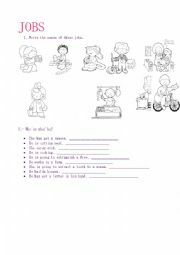 This worksheet has got three activities. 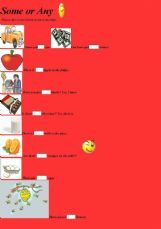 Children can practice present simple with these activities. 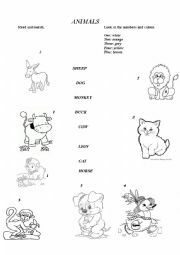 Exercise for little children to review animals, colours and numbers. This is an activity to practice comparatives. 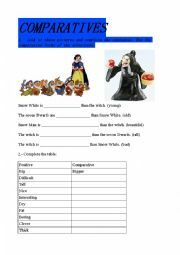 Worksheet to practice the jobs vocabulary. 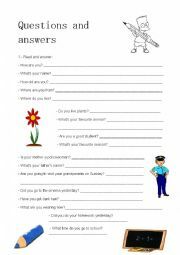 Your students can use this exercise to review questions and answers and to practice speaking. Here you are three exercises to practice the past simple of regular and irregular verbs. 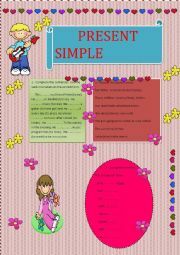 Your students can review the present simple of to be with this power point. They have to read and complete the sentences. 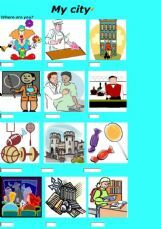 Exercises to work jobs vocabulary and prepositions. 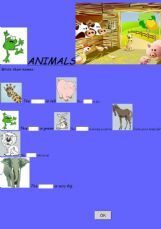 Children can practise present simple and animals vocabulary with this activity. 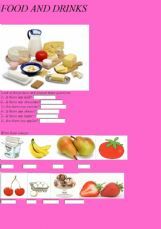 This exercise is for primary students. They can practise the food vocabulary and there is/there are. Exercises about the city vocabulary and to practice There is and There are. Three exercises to practice the past simple tense with regular verbs. Activity to practise animals vocabulary. Easy activity to review some, any, articles and food. Children have to guess the fruit name. Children can practise animals vocabulary with this game.